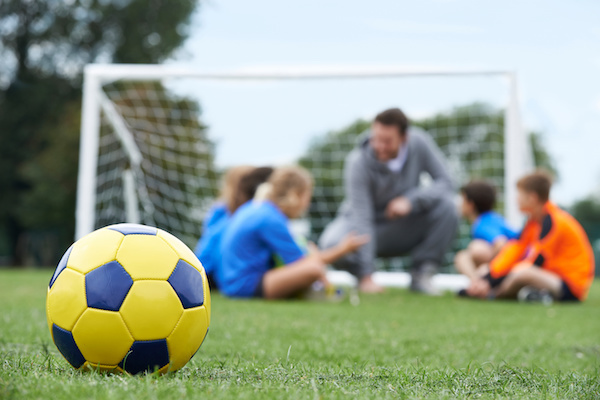 As the spring season begins, so does the hunt for sports coaches and summer group volunteers. Participating in sports and activity groups are a great way for today’s youth to build character and learn important lifelong lessons. Unfortunately, as many new stories often remind us, these programs can also draw the wrong crowd of people. Dangerous individuals in search of young victims are often also drawn to these organizations. Predators can take advantage of the fact that kids are sometimes unaware of what is appropriate and inappropriate behavior. It’s so important that all athletes and participants are provided with a safe and secure environment free of physical, sexual, or psychological harm. One of the best ways to help prevent predators from being able to get close to these young participants is to run routine background checks on all coaches, referees, and volunteers. In fact, many state legislators are now passing laws that will require volunteers to get screened. Here at Total Reporting, we have years of experience performing background checks for a wide variety of organizations. We offer simple and comprehensive screening services at a low cost. Because we have run thousands of volunteer screening checks, we can help you know what to screen for. We are passionate about working with organizations of all sizes to build screening programs that are comprehensive, cost effective, and quick. Platform– Our platform option allows your organization’s administrator to input a volunteer’s information directly into our secure online platform. This option is most suitable for those organizations that would still like an applicant to fill out a paper form with their information and then input that information themselves. Quick App – With our quick app option, your administrator can send out an email to the volunteer applicant with a link to complete their application. The volunteer then completes the application and the results go back to the administrator. Quick App Pro– With quick app pro, you can add an embedded link on your website. When volunteers click on the link, they are able to fill out their application. All results go back to your organization’s administrators. We understand that most sports organizations are non-profit and that’s why we’ve made our volunteer screening solutions as affordable as possible. We offer great rates and volunteer pay solutions for organizations that want screening, but can’t afford the costs. Our volunteer-pay solutions allow volunteers to use the quick app or quick app pro options to pay with a credit card before they submit their application. We’ve developed all these screening tools to make it as easy and seamless as possible to get your volunteers and coaches screened so they can get on the field faster. In today’s world organizations can’t afford NOT to run background checks. One evil predator could ruin a child’s life and damage your organization’s reputation. Keep the kids safe with comprehensive volunteer screening from Total Reporting!